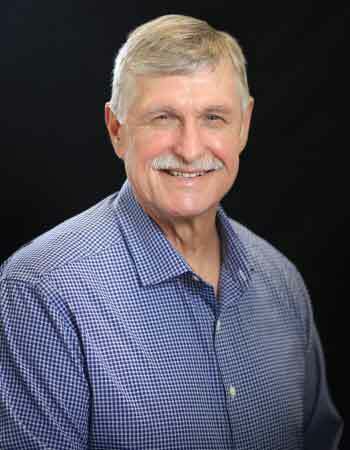 Avid Outdoorsman, Husband and Realtor, John Pickens has over 30 years of experience in buying, selling, investing and leasing Real Estate in Central Texas. From starter homes to ranches, john has helped clients finds just what they needed again and again! Patience and care for those around him along with a keen eye for sound real estate investments has kept him stable in an our economy . Working with John was a real blessing! His depth of knowledge of the real estate business and his many professional contacts helped make the process of buying our home a pleasure and free of drama! We would definitely recommend him to anyone looking to buy or sell a home, second home or acreage in the country. Johns consistent contact through the years with us through his business flyer helped us learn more about things going on in our area. The information he would send out on how and where to connect with non profits during the holidays was much appreciated and something you rarely find this day and age from most businesses! I can’t say enough for John in his handling of the sale of our Maha property. From start to finish, John was outstanding. We listed the property with him in late November. By the first of December he had several offers for the property. He had the property sold by mid December. He assisted us by getting the survey of the property done. Considering the holidays and rainy weather, the survey took a little longer than he expected, but we were able to close completely by the end of January. John was with us the entire time, and was always very friendly, extremely helpful, and highly professional. We will not hesitate to recommend John to any of our friends and family for any of their real estate needs. He has our highest recommendation, and a HUGE “Thank you !!! ” for all he did for us!!! Congratulations for having such an outstanding representative on your team!!! My business is real estate investing. I have used John Pickens to buy and sell for over 10 years and he has always been a great agent. In any kind of transaction, whether purchasing a home or an investment, he brings a lot to the table. Advice on financing, negotiations, 1031 exchanges, he does it all. I will use him until I retire. If you want to list your home, or buy a home, or any real estate property, any licensed agent can and really wants to do that, because that’s how they make money! I almost got my license so I could pickup some extra income by listing friends property. However, if you want to sell that property in a timely manner by using a real estate broker that has the resources to reach potential buyers from places you can’t even imagine, then John Pickens coupled with Sky Reality is who I would recommend using. John is a caring man with strong Christian values, constantly brain storming for ways to sell your property. Even though I have moved far away from the Austin area, I would depend on John to help me sell my property, if and when I need a real estate broker. My wife and I highly recommend John and his brokerage company! John, my wife and I hit the ground running and looked at a few properties, then found the perfect one and put in an offer slightly over the asking price. First day found the house of our dreams. Beat that! It is without hesitation that i would recommend John Pickens for anyone’s real estate needs. it is not just the experience that makes John sought after when buying or selling a property. It is how much he cares for the people he serves. Buying or selling real estate is not just a transaction. It becomes a deeply personal experience. If it is your personal home you need someone who will educate you and help you through the process. Preparing you for what is to come. John Pickens has the knowledge and ability to help his clients be successful. John Pickens is a kind, attentive, and extremely knowledgeable realtor. He stood right alongside my wife and I to help us sell our home. We trust John with our lives! I have known John Pickens for years and have found him to be a trustworthy, hard working man of integrity. I recommend him to help you in your real estate needs. John Pickens has been a great help for me personally and for our ministry. When we have been looking for a property he found unique parcels that in some cases were not found on our searches on the internet. He is an honest and hard-working Realtor and we will use him again. We are first time home buyers and John was the perfect realtor for us. He understood our needs and gave us excellent advise. John answered every question promptly, was always available and walked us through every step with ease. His expertise and experience were obvious and a huge help to us. We would recommend John to anyone looking for a professional, compassionate, and honest realtor who will look out for you every step of the way.